Small acts rarely go unnoticed in the game of football. Gestures of sportsmanship, ethos of credibility, and a rapport that is warm all contribute significantly to making the game a pleasant experience. While sides like Manchester United are famous for the huge egos they have housed over the decades – both in managerial berths and boots on the field – it isn’t a surprise that disagreements occur. As of such, the resolutions of such conflicts are often a sight to be enjoyed. 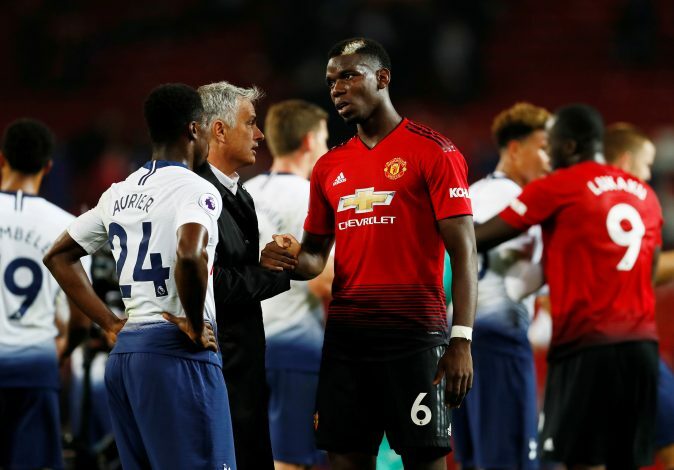 Something of the sort could be underway in the relationship between Paul Pogba and Jose Mourinho, oft-cited to be far from warm, fueling many reports of exits over the past few months. On Wednesday, the Red Devils decisively won against Young Boys 3-0 in their opening Champions League fixture, with Paul Pogba gracing the scoreline twice and Anthony Martial netting the winner. Pogba’s second goal came from a penalty, and it predictably raised quite a few eyebrows, as his previous penalty against Burnley was saved by Joe Hart. As of such, Jose Mourinho having still assigned him the duty is viewed as remarkable. The French midfielder had this to say about his gaffer’s faith (via MUTV): “I had no doubt about taking the penalty. I know I missed that one, but I told [Mourinho] I won’t do the same mistake this time. The 2018 World Cup winner went on to add: “The most important thing was to put the ball in and that’s what happened, so I’m happy. Does this bode well for his Old Trafford future?